major & minor described (see Bolton, 1995, type location given as Ethiopia) . 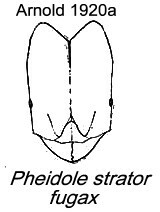 Forel's (1910c) description is at . 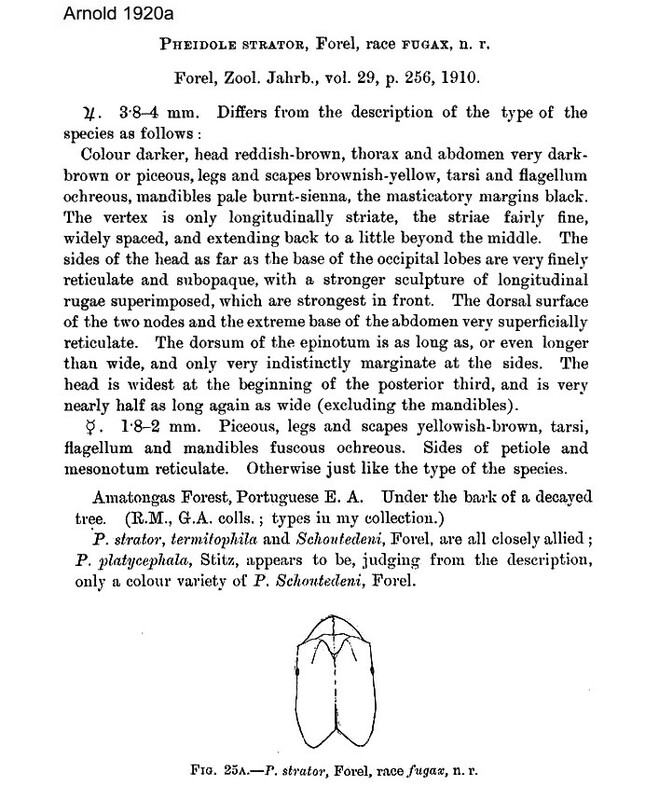 Arnold's (1920a) description of fugax is at . 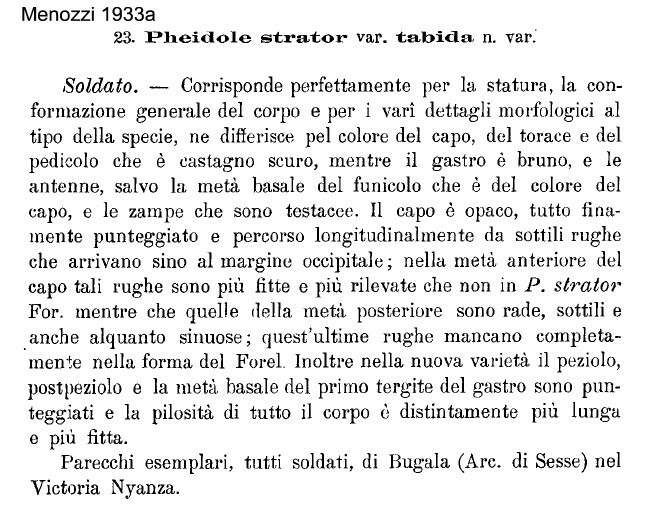 Menozzi's (1933a) description of tabida is at . 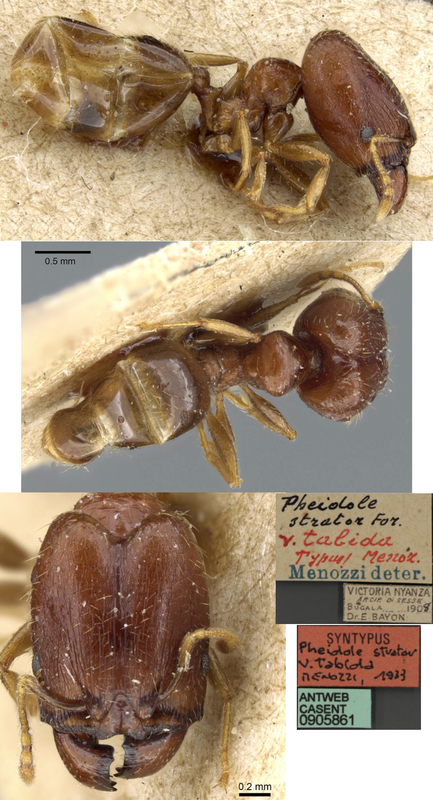 The photomontage of the type major worker is collated from http://www.antweb.org/specimen.do?name=casent0907851. The photomontage of a type minor worker is collated from http://www.antweb.org/specimen.do?name=casent0907852. The photomontage of a cotype major is collated from The Smithsonian Institute images at http://ripley.si.edu/ent/nmnhtypedb/public/specimeninfopage.cfm?publicconsumption=1&typespecimenID=943. 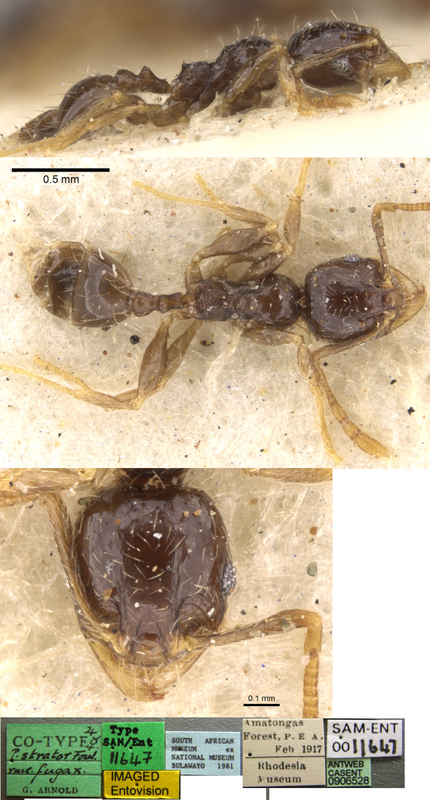 The photomontage of a fugax syntype minor worker is collated from http://www.antweb.org/specimen.do?name=casent0906528. The photomontage of the type major of tabida is collated from http://www.antweb.org/specimen.do?name=casent0905861. The photomontage is of a minor worker from Tanzania, East Usambara Mts; Amani Nature Reserve, collector Vasily Grebennikov. This is an exact match for the fugax minor shown above and has the same colour as the tabida major. The photomontage is of a minor worker from Liberia, East Usambara Mts; Amani Nature Reserve, collector E Poiriet (Yekepa camp 4 PF 5).